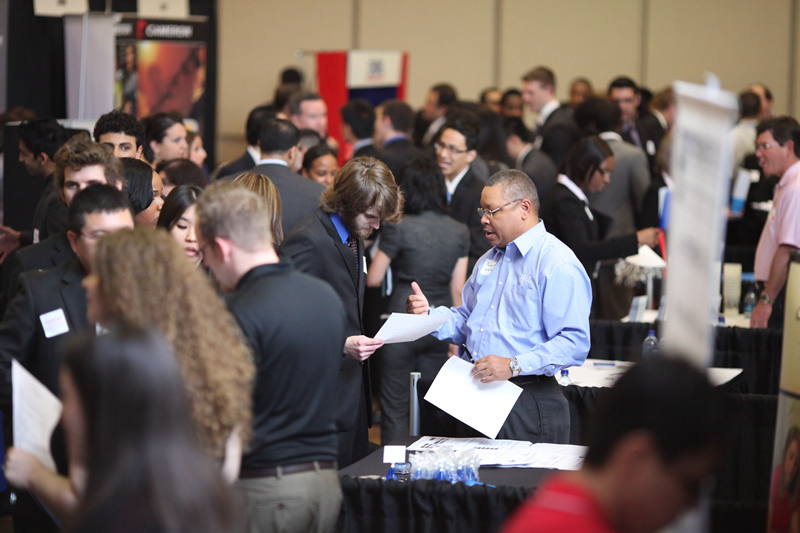 Opportunity knocked for UH Bauer students who attended the Spring 2011 Business Career Fair, with nearly 100 companies represented. At first glance, the University Center Houston Room was filled mostly with representatives from the area’s largest businesses and students in suits during the Spring 2011 Business Career Fair held on Feb. 15. But something else filled the air — opportunity. Nearly 100 companies attended the fair, hosted by the C. T. Bauer College of Business Rockwell Career Center, eager to talk to students from the college about potential internships and job opportunities. 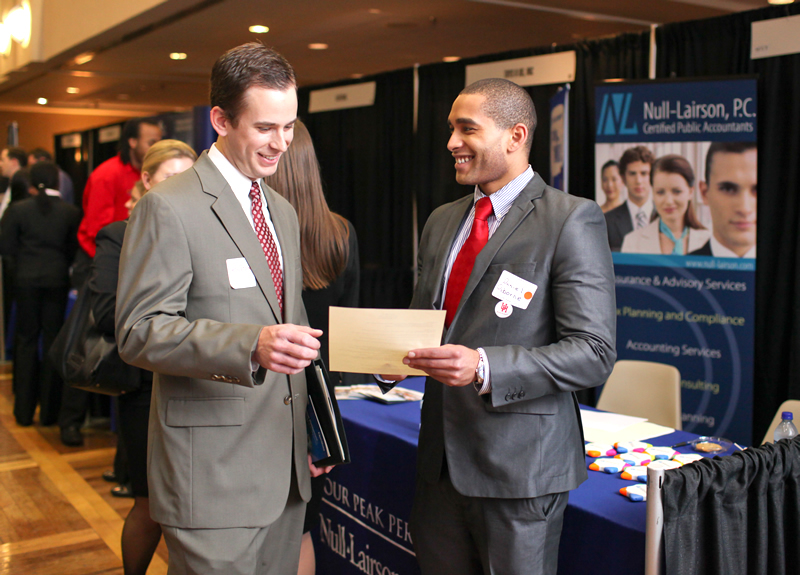 Though the country has faced one of the toughest economic downturns in recent times in the past few years, recruiters at the Career Fair said it’s important for students to know that there are still opportunities to be had, albeit with a little bit of searching. Recruiters also want students to remember the importance of a college education. A four-year degree shows employers that a student is dedicated, is focused on personal development and has the qualities to become a future leader within an organization, said Kirk Kveton, Store Team Leader from Target. The value of a degree, especially one from UH Bauer, cannot be overlooked, Cuellar added. “A lot of my star performers from the store are from Bauer,” said Dixie Irizarry, recruiter from Verizon Wireless. 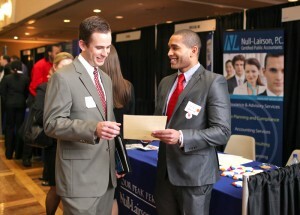 The atmosphere at the Career Fair was optimistic among students, who were pleasantly surprised at the number and variety of recruiters there. In a sea of applicants, the candidates who stand out are the ones who have prepared themselves with higher education, real world experience and research about their desired field, recruiters said. And for both new and veteran Career Fair participants, chances are high that a company has a position waiting to be filled. But chance favors the prepared, and it is the students who are ready to meet employers who are usually the ones that are able to stand out among the competition. And even though not every single student leaves the Career Fair with a job or an internship, the chance to practice speaking to professionals and the opportunity to network is a huge boon for business students. And after the experience, students felt much more confident about their future job prospects. “I feel like when I go through graduation and come back I’ll be a much more suitable candidate,” said Emmanuel Torres, an MS Accountancy student.